This week we have been thinking about weddings. We enjoyed sharing some wedding stories and wedding photographs. We all visited Rev Carol at Mere church. 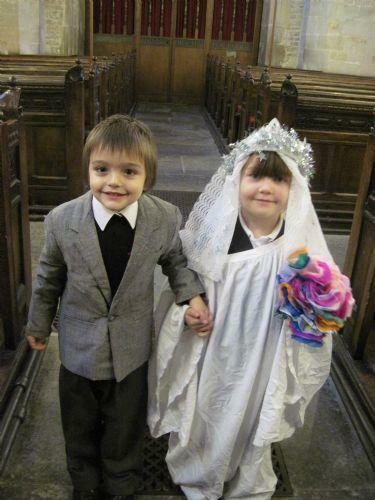 We acted out a real wedding, Toby and Hailie got married. Back at school we made some tissue paper flowers and we wrote a list of all the things we would need for a wedding.